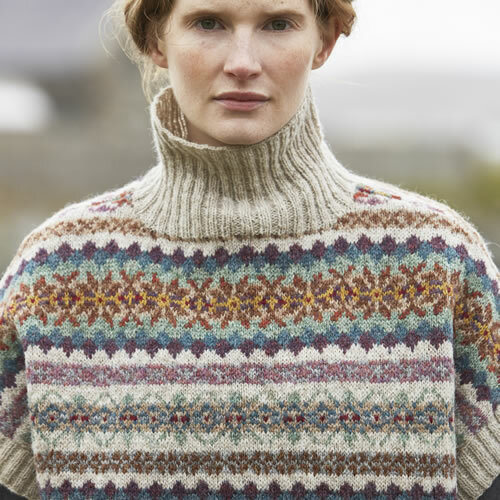 Jamieson’s of Shetland is proud to introduce SHETLAND – a beautiful collection of modern Fair Isle by independent designer, Marie Wallin. 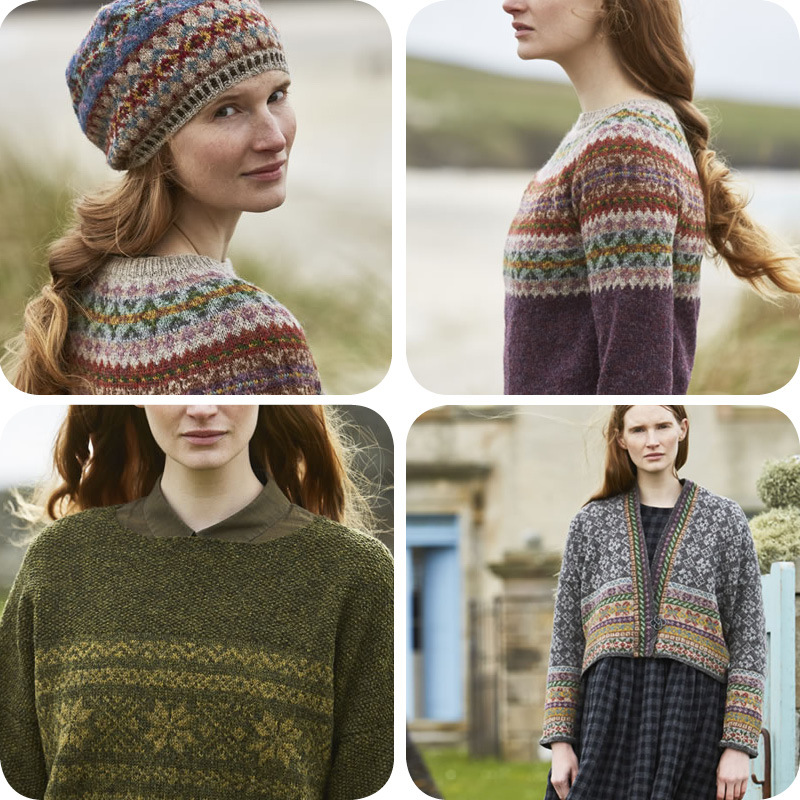 The collection of 8 garments and 4 accessories knit in Spindrift, 100% Shetland, 4ply Wool, is a showcase for the wonderful colourwork that has become synonmous with Marie’s designs. We are delighted that Marie will be joining us at Loop to showcase her designs and sign copies of her book on Saturday, October 14th, from 1:00 to 3:00. 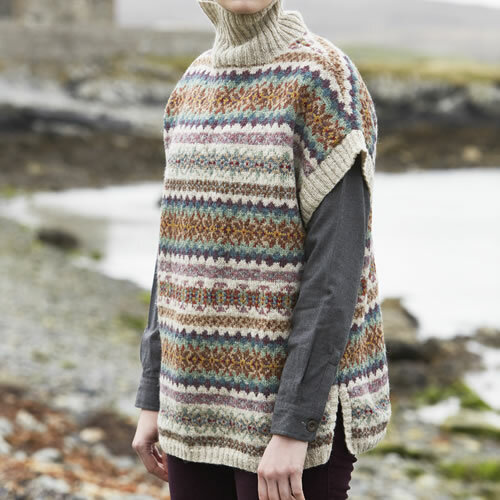 Photographed around the Shetland Islands, Marie has tried to capture the look and feel of this beautiful, wild and remote part of Scotland whilst presenting each of the designs to stunning effect. She’s made this beautiful (if a little wistful) film to introduce her book. We carry over 115 shades of Spindrift, jumper weight yarn, which is perfect for working stranded knitting. It knits and wears beautifully. I have my eye on this cute Mousa pullover with a turtle neck. I can imagine wearing it layered, over other cosy knits, while working from home. I think I would end up wearing it all the time! All the patterns are timeless classics and knit in Spindrift they will wear well enough to last several generations. Please join us for Marie Wallin’s book signing! 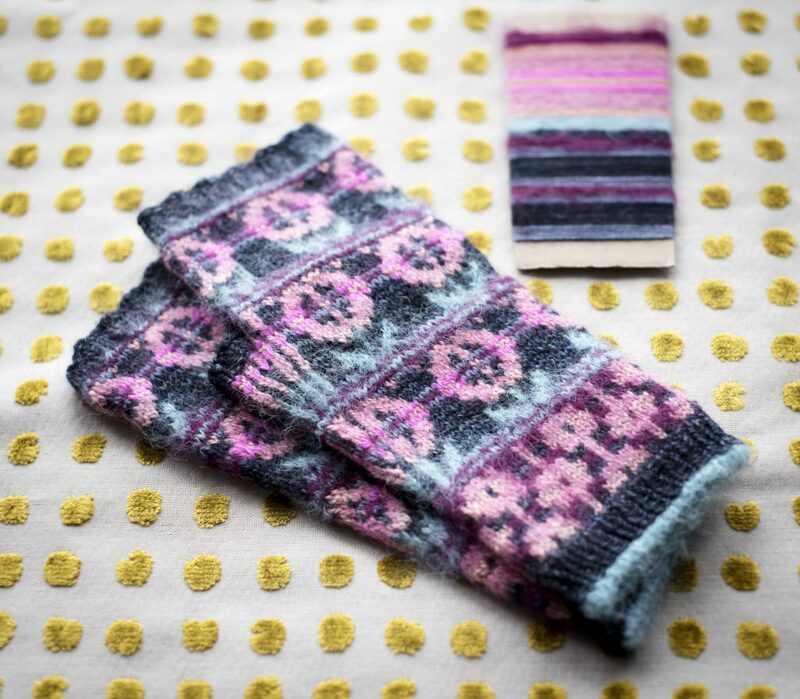 If these patterns whet your appetite for Fair Isle colour work, but you fear your skills aren’t up to it, why not join us for one of our upcoming (newly added) classes. Continental knitting on November 4th introduces participants to holding and tensioning yarn with the left hand, which is great preparation for working with two (or more) colours. 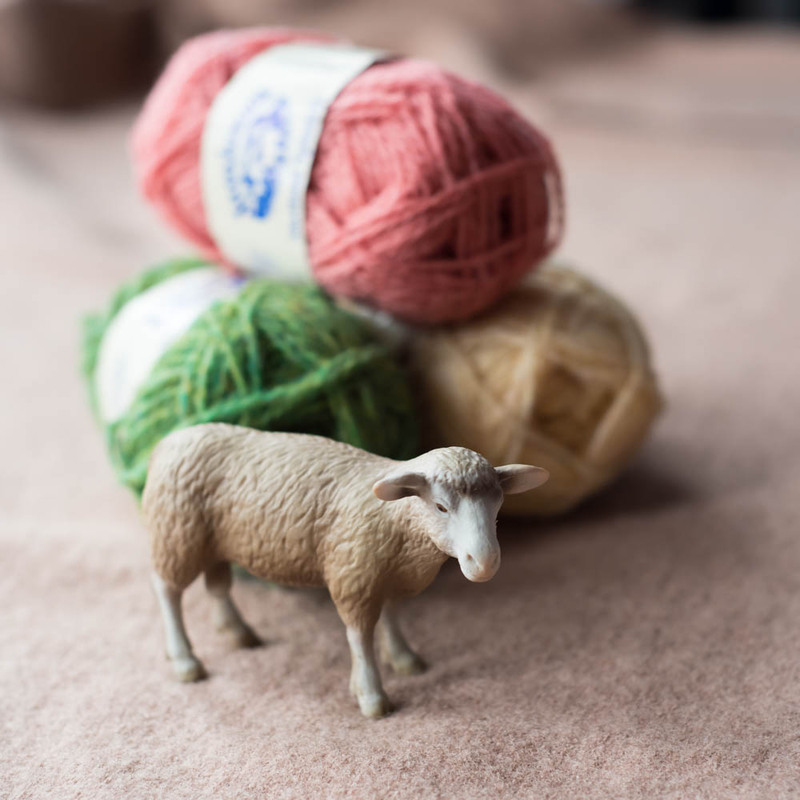 Colour Inspiration for Knitters on December 2nd is a new class to Loop. 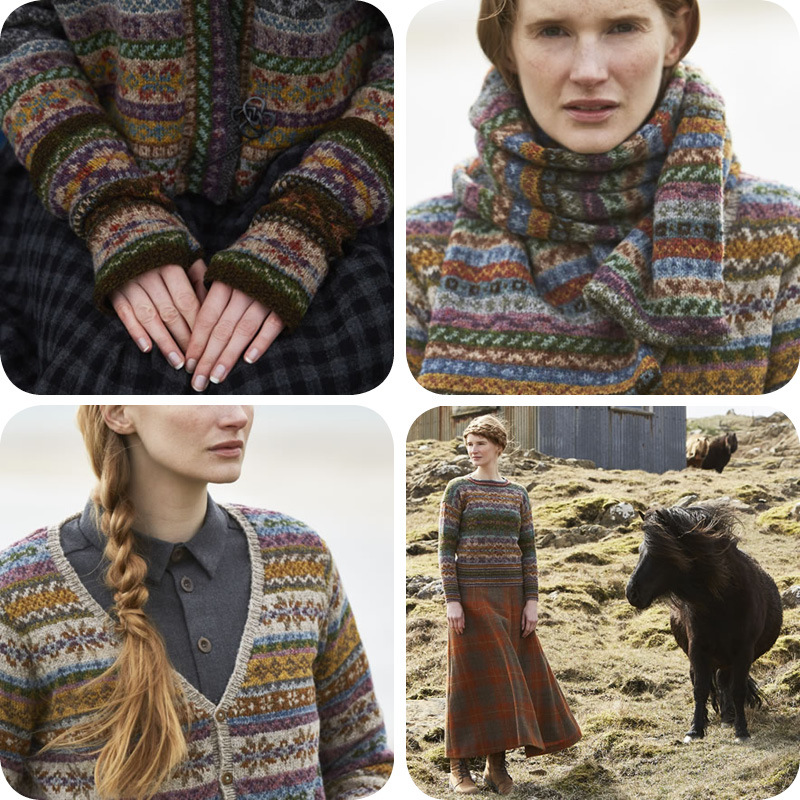 It will give participants tools and tips for choosing yarns and colours to work Fair Isle knitting. 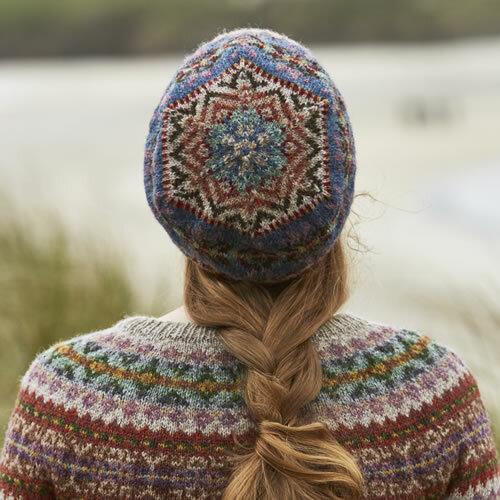 And we have just added a new Fair Isle class on January 21st, 2018. All classes are taught by Juju Vail (which is me, writing this blog post) and I promise you’ll have a great time! I would be near your shop by the end of october, will you have some this book back in stock?